As a follow-up to this year’s Common Reading Initiative, Author Charlie LeDuff will be on campus Sept. 26, 2013 for a book-signing and lecture, followed by a Q and A on the Dibden stage. During his two-day visit, LeDuff will also be talking to the Newspaper Publishing class as well as the first-year seminar “Dystopia: Cautionary Tales” about his work as a journalist and the dystopian society that Detroit has become. Both classes are taught by Associate Professor of Writing and Literature Tyrone Shaw. This year the book choice came down to “Radio Active” by Lauren Redniss, “Tenth of December” by George Saunders, and the winner, “Detroit: An American Autopsy” by LeDuff. There were some who liked that “Radio Active” was written by a female author, had a female protagonist, and included a lot of art and visuals, but everyone who was present during the committee’s final conversation voiced support for the choice. In its seventh year, the Common Book program introduced “Detroit: An American Autopsy,” to JSC’s incoming freshman for an inside look at life in Detroit through the eyes of a journalist native to the city. He has also ridden a bull at a gay rodeo and became a trapeze clown in a traveling circus of immigrants, among other things. 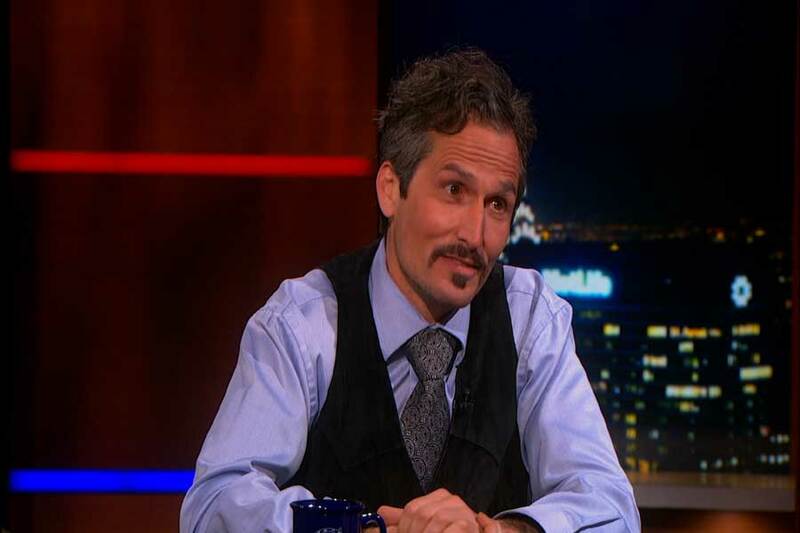 LeDuff received a Bachelor of Arts degree in political science from the University of Michigan and a master’s degree in journalism from the University of California at Berkeley. He has travelled the world working as a carpenter, middle school teacher and gang counselor in Detroit, a bartender in Australia and a baker in Denmark. He lived in a tree house in Alaska and slept on the Great Wall of China before finally settling down in Michigan with his wife and daughter. Back in his hometown of Detroit, LeDuff investigated the city’s collapse including the arsons on Devil’s Night and the rising murder rate. After talking to remaining residents of the once booming metropolis, LeDuff paints a picture of the abysmal end of what was once America’s second biggest city and a leader in the industrial revolution with the production of automobiles.